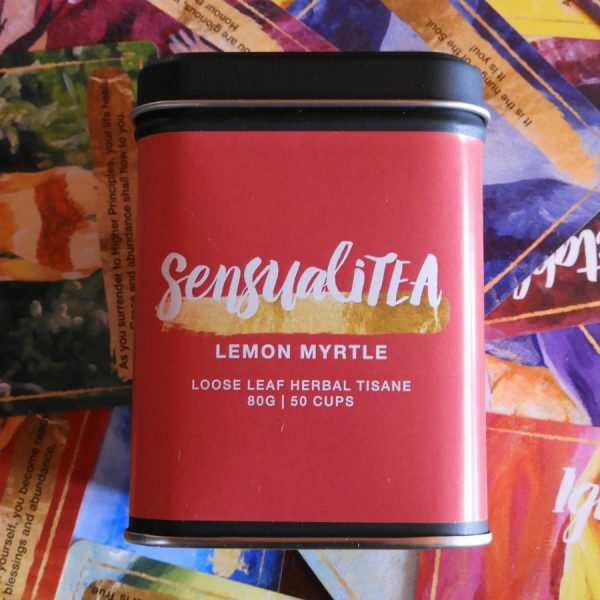 There’s nothing more comforting than cuddling up with a warm cup of herbal tea, taking a moment to be aware, connect within and awaken the senses. On both warm and cool days, a fresh cup to Lemon Myrtle blend can be the perfect pick-me-up. The uplifting aroma will help you feel energised and refreshed. 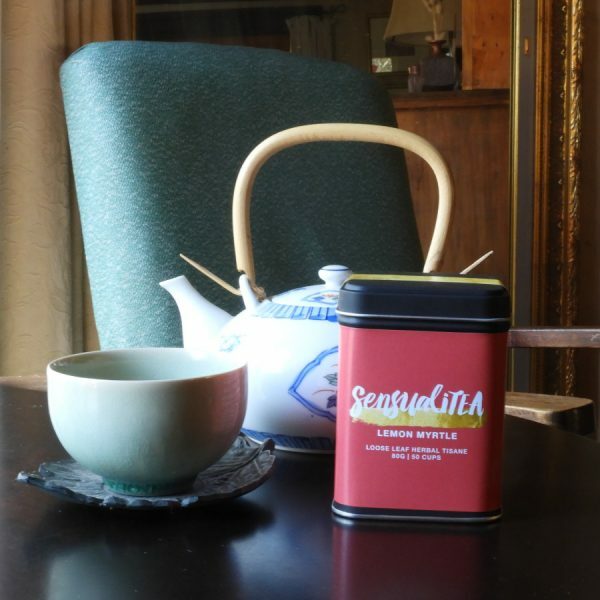 SensualiTEA will complement your morning ritual of drawing a daily Sensual Seed Oracle Card. With each sip you will feel more grounded and centred. Each tin has a blessing/healing within. Hand blended in Victoria, Australia by SpiritualiTEA from local certified organic ingredients. 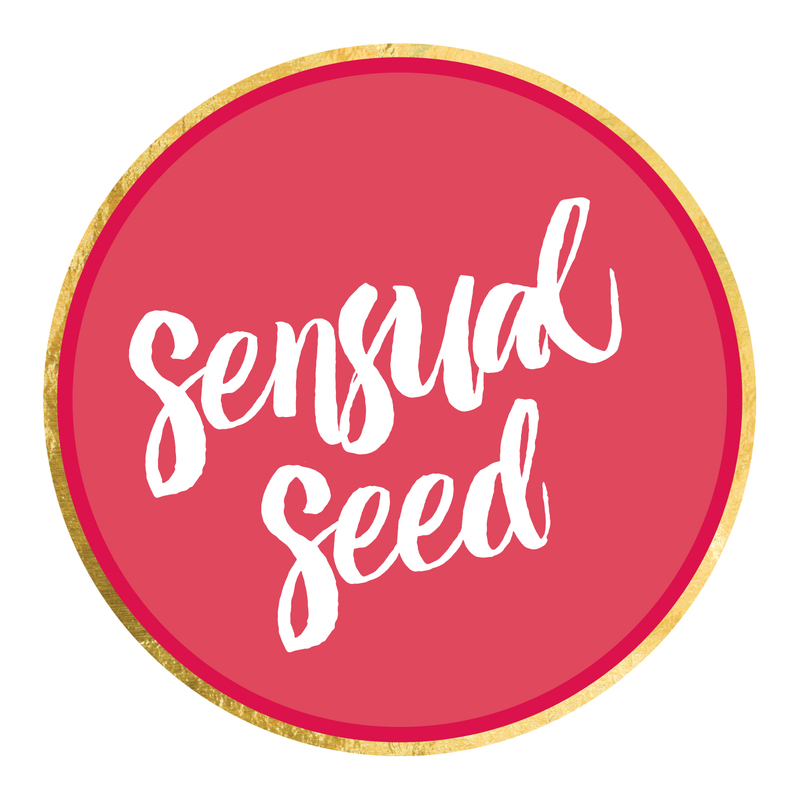 Sensual Seed Oracle Card Deck is a powerful tool to connect with that inner voice of the Divine Feminine within, who knows everything, and always has the perfect guidance. Included in the deck are 44 oracle cards. Each card comes with a vivid hand-painted image in acrylic colour to inspire and uplift your mood. As you connect with the card image and allow yourself to be inspired by its theme, you may discover that the accompanying channeled message resonates with the issue or question you have in mind. With these cards, you will find clarity, comfort, guidance and a friendly encouragement when you need it the most! For every card and every message in the deck, there is also an elaborate message in the handy guidebook. It is meant to provide you with greater insight into the truth of your situation. Accept what resonates with you and act on it while letting go of that which doesn’t. The oracle cards are encased in a gorgeous hard-case box. 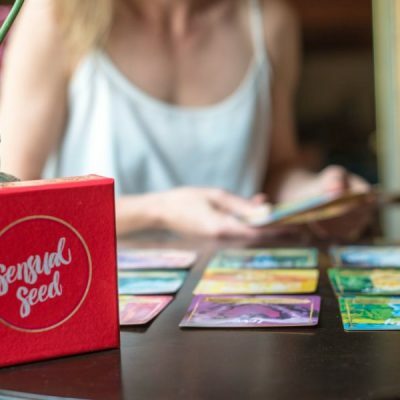 Each deck has been lovingly infused individually with the intention that each card be a reminder for you to deeply love and accept your True Self. We aim to send your parcel within 3 business days after receiving full payment (including shipping costs). If shipping within Australia, please allow another 2-3 business days for Australia Post to deliver. If sent outside Australia, please allow up to another two weeks for your order to arrive. Within Australia: We use Australia Post (regular parcel service). International: Regular airmail is used which does not include a tracking service. If you would like to have your parcel tracked, please contact us before placing your order as additional fees apply.